Well done Twopresents Heroes! 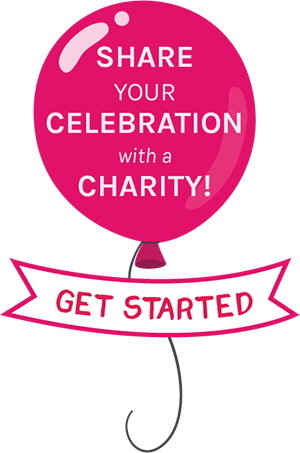 Each of you have made a difference in our community by choosing to turn your celebration into an occasion to raise funds for a good cause and save for a gift you really want, hence reducing gift and packaging waste! Thank you and Happy Birthday! Jack, Bianca, Maia, Stellan, Maximus, Rishie, Marco, Emily, Ralphie, Sean, Alex, Gael, Charlotte, Bryce, Scarlett, Leila, Amelia, Lee, George W., Josh, George, Henry, Xavier, Paul, and Luna donated to Plastic Free Seas, Hong Kong Dog Rescue (HKDR), 惜食堂 Food Angel, Bring Me A Book Hong Kong, 香港海豚保育學會 Hong Kong Dolphin Conservation Society, Kirsten’s Zoo Charity, Nepal Youth Foundation, WWF Hong Kong, 成長希望基金會 Changing Young Lives Foundation, Hong Kong Shark Foundation 香港護鯊會, the Chang Ping Elderly Centre, Sprouts Foundation, Children’s Medical Foundation and Angkor Hospital for Children. Ian, Danny, Anais, Julia, Kirsty, Anant, Kian, Matty, Aarun, Amara, Arun, Luke, Kaysey, Justin, Brayden, Lucy, Phoebe, Isobel, Aidan, Giselle, Iris, Claire, William, Sanaa and Zach supported the Chan Ping Elderly Centre, Plastic Free Seas, 母親的抉擇 Mother’s Choice, Lizzie Bee, Hong Kong Dog Rescue, ImpactHK, WWF Hong Kong, Box of Hope, Youth Diabetes Action, Hong Kong Cancer Fund | 香港癌症基金會, Angkor Hospital for Children, OneSky for all Children, Christina Noble Children’s Foundation, Hong Kong Shark Foundation 香港護鯊會, Children’s Medical Foundation, 香港海豚保育學會 Hong Kong Dolphin Conservation Society and 愛培自閉症基金 Autism Partnership Foundation.